The Library home page and and LibrarySearch include a link to your personal loan account. To use your loan account as TU/e student or staff member you must log in with your NT account. 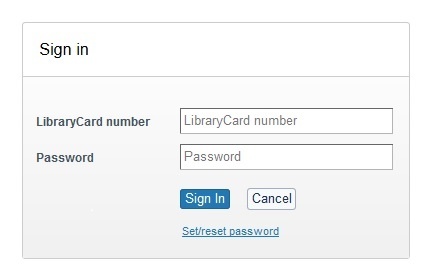 As library user from outside TU/e you must be registered as a Library member and log in with your card number. When logging in for the first time you will be requested to create a password. Requesting a password? At the top on the right, go to 'sign in' and log on as an external user. Click Set / Reset Password, which will be sent to you by email.